Hi everyone, I think it's past time for an update (again, sorry about that long wait!). I hope you're all doing well and having a lovely crafty time. 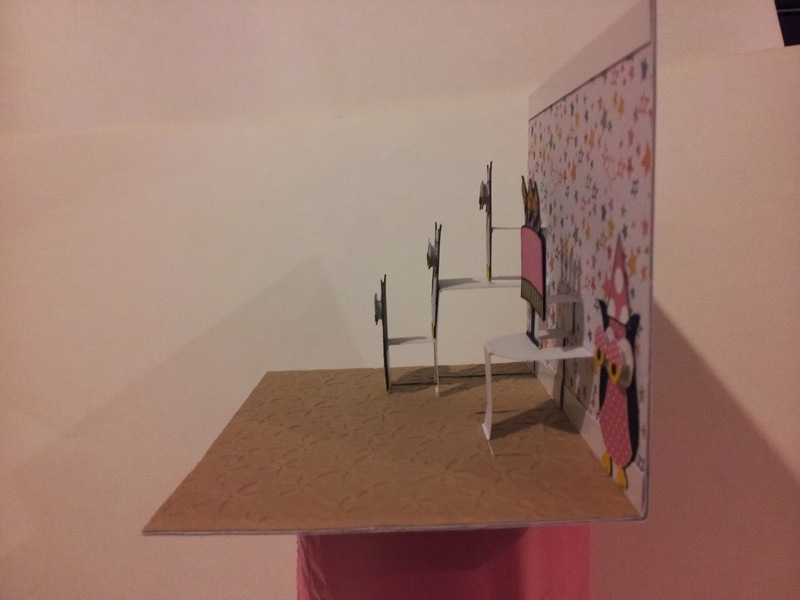 Today I'd like to share with you my first go at doing a pop up card. I didn't have any fancy pop up dies or anything, all I used was good old fashioned scissors. My inspiration comes directly from this video by Darlene DeVries. She did a great job with the card. I had to improvise as I didn't have any party hat stamps or balloon stamps. I instead made party hats by cutting a 2cm x 2cm square of paper, marking the centre at the top and then drawing lines from the bottom left and bottom right to the centre and cutting out the resulting triangle (hat). To replace the balloons she stamped on the background, I attempted to make wallpaper and flooring. It's a little rough, but for a first go, I'm pretty happy with it. It has a heck of a lot of work involved and I decided to keep it myself! I can use it as a prototype but really, it's so cute I just want to be able to look at it for more inspiration! 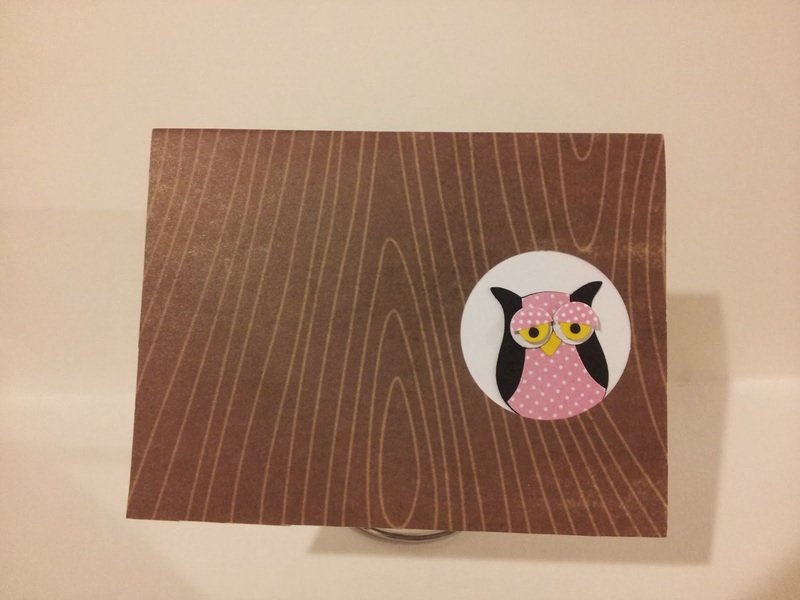 The owls are made with a StampinUp punch and paper pieced together. Here's a pic of the punch and the final card I made. Thanks for stopping by and having a gander! Take care and happy crafting to you! 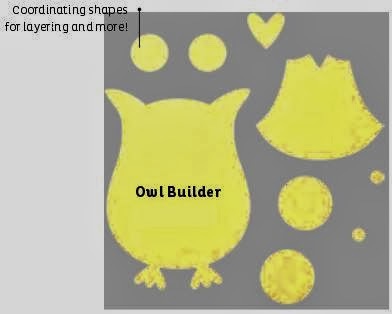 "Hi Darlene, I recently watched one of your owl pop up cards and had a go at making one myself. I thought I would let you know in case you're interested to check it out! Thank you for all your inspiration, I love watching your YouTube videos! 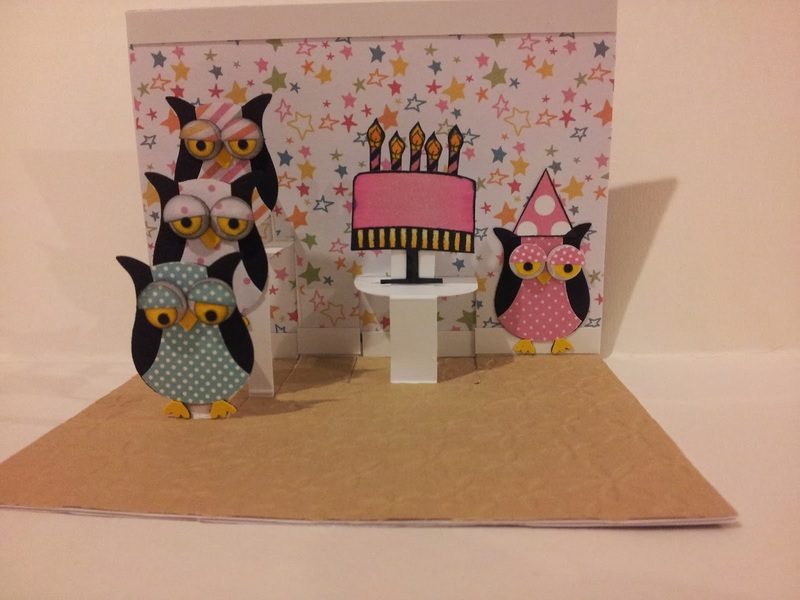 It's right here: http://craftykazzascardmaking.blogspot.com.au/2014/02/owl-birthday-pop-up-card.html"
"Great job Karen! Thanks for sharing. :) Darlene"
Aww this is sooo cute!! LOOOVE it!!! Thank you! It's the OWLS!!!!! hehehehe...Me too, I'll def have another go at this one day, might even see if I can figure out how to make it with my silhouette cameo instead of scissors! Thanks so much XxJulesxX... i must find some time to come back and play on my blog, so busy atm with work, but I do appreciate you visiting!